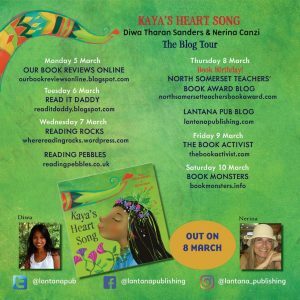 I am delighted to welcome author Diwa Tharan Sanders as a guest on my blog Reading Pebbles today. Here are her responses to my interview questions. It was a pleasure to chat to her. What inspired you to write a story about mindfulness? And why is it set in the Jungles of Malaysia? To be honest, the mindfulness theme happened ‘by accident’. What sparked my imagination for this book and inspired me was I wanted to write a story about “a girl who wanted to be happy”. And as I started dissecting what being happy meant to me, the idea of music and a heart song came up as a way of expressing true, authentic happiness, which to me comes from being in tune (no pun intended!) with your heart. Listening to the heart and coming out of the mind, is one way I would describe mindfulness. I chose the jungle of Malaysia as a setting for the story not only because I’m Malaysian, but I also wanted to reflect where I was from a personal and creative perspective. 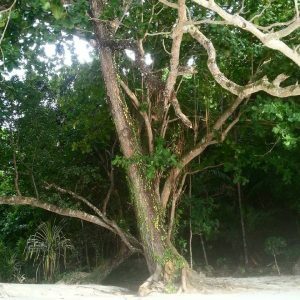 When I wrote Kaya’s Heart Song, I was living on a beautiful tropical island with a 120-year old rainforest around us. I love being in nature and connecting to its beautiful energy, which I find inspiring, grounding and even mysterious sometimes. These elements really excited me to set a story in the jungle and I felt like there was no other setting more appropriate to do so. 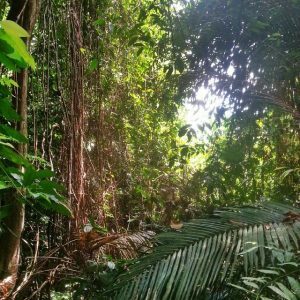 Below are some pictures Diwa took in the rainforest in Malaysia, and I can see why she finds it a magical place. Why is special about a ‘heart song’? A heart song is special because if you consider how it’s described in the story, it creates magic! Everyone has a heart song, we just have to remember to listen to it. I imagine that a heart song is something that is unique to each person, but it also changes and can reflect what is happening in our daily life at that specific moment and the emotions one is feeling. That’s what being mindful means – being able to be in the moment and to tune in to what is going on. I am interested in how authors and illustrators work together to co-create a picture book. When you were writing the story what sort of pictures did you imagine? This is my first picture book and I have to say that I am incredibly lucky to have been able to work with Nerina Canzi. I had an idea of what Kaya could look like and I described that to Nerina, along with some pictures. I also shared some pictures of Malaysian rainforests with her. And to be honest, that was the extent of my creative input! 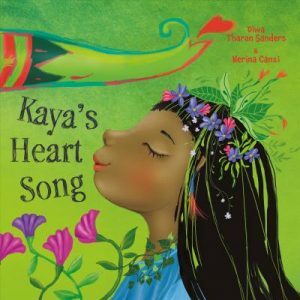 I was and still are completely moved and blown away at how she captured the essence of Kaya and the story through her stunning and beautiful illustrations. They are pure magic and have brought so much inspiration and light to the story. Working with her has been an absolute blessing and joy. You can read my review of Kaya’s Heart Song here.